Following months of speculation and anticipation, the ladies of Fifth Harmony release their newest single “Down” featuring Gucci Mane. The worldwide multi-platinum group set off mass hysteria on Monday (May 29th) with the announcement of “Down,” the first of new music since the 2016 release of their sophomore album 7/27, and since original member Camila Cabello’s departure last year to pursue solo efforts. Ally Hernandez, Dinah Jane Hansen, Lauren Jauregui and Normani Kordei celebrated the release by taking the track straight to the stage, performing alongside Gucci Mane for Good Morning America’s Summer Concert Series this morning (Fri, June 2nd). Their performance in Central Park also included their 4x-platinum smash hit “Work From Home,” with a special appearance by Ty Dolla $ign. 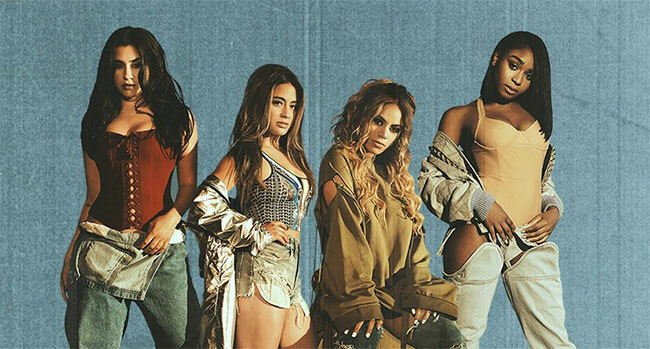 “Down” is the first single from Fifth Harmony’s forthcoming third album via Syco Music/Epic Records, and is available now via Amazon and all digital service providers. The track was released overnight, climbing to No. 2 on the iTunes Digital Songs Chart and surging to the top of the Billboard + Twitter Trending 140 chart Friday morning. The group confirmed a music video has been filmed, but provided no release date.